BLUBOO S1 is one of the most budget-friendly smartphones that comes with a full-screen display and dual rear cameras. 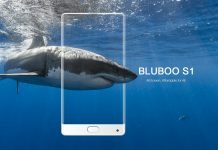 The Chinese company has started the global pre-orders of the BLUBOO S1 with a pricing of $159. The pre-order has started on July 10 and it will continue until July 17. After the last date of pre-order, the BLUBOO S1 will be available with a pricing of $209. BLUBOO S1 is the major product from the Chinese manufacturer for 2017. The best thing about it is that there is no competitor for this phone from any of the major smartphone brands. The BLUBOO S1 features a 5.5-inch tri-bezeless display that offers a resolution of 1,920 x 1,080 pixels. It is driven by a powerful chipset, the MediaTek Helio P25. The SoC is coupled with 4 GB of RAM and the native storage of the phone is 64 GB. 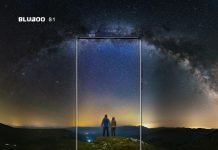 The BLUBOO S1 seems to be inspired from the Xiaomi Mi MIX. However, the BLUBOO phone has something that is not available on the Mi MIX. The S1 features a dual rear camera module that includes a 16-meagpixel main sensor that is supported by a secondary 3-meapixel sensor. The smartphone is running on Android 7.0 Nougat OS. It is powered by 3,500mAh battery. 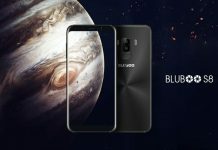 BLUBOO is running a couple of promotions during the preorders of the BLUBOOB S1. The first offer allows users to get the S1 for as low as $79. Between July 10 to 17, one handset of BLUBOO S1 will be available for a reduced cost of $79. Those who purchase the BLUBOO S1 will be also provided with a pair of Bluetooth headphones for $9.99. Without the offer, the Bluetooth headphone from Dacom is priced at $35.99. It is a limited period offer as only 450 units of the headphones are available. 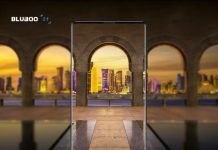 To avail it, users need to purchase at least $99 worth of BLUBOO products. The offer is not available with the first offer. 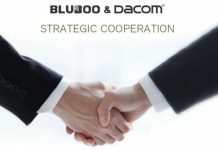 The third one is a contest that requires users to purchase BLUBOO products worth at least $150 and then share the promotion on social media. 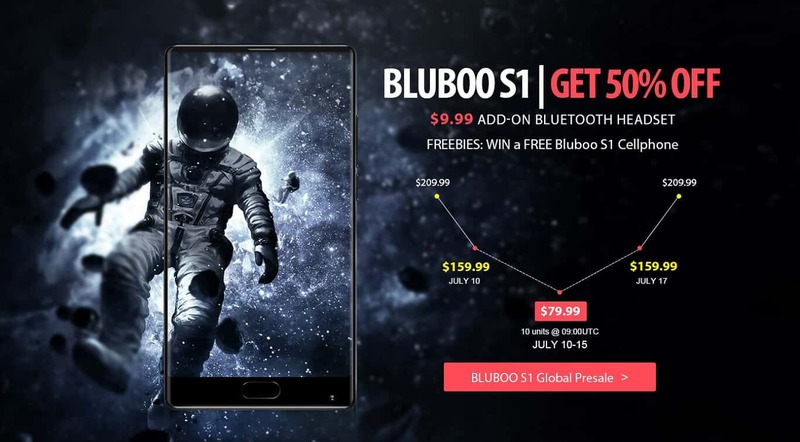 With this contest, the Chinese firm is giving away 5 units of BLUBOO S1 phones, 50 Bluetooth headphones and several coupons that can be used for buying future products.